In the revered Hanuman Chalisa, there is a famous line, Bhoot pischach nikat nahi aave, mahavir jab naam sunave! 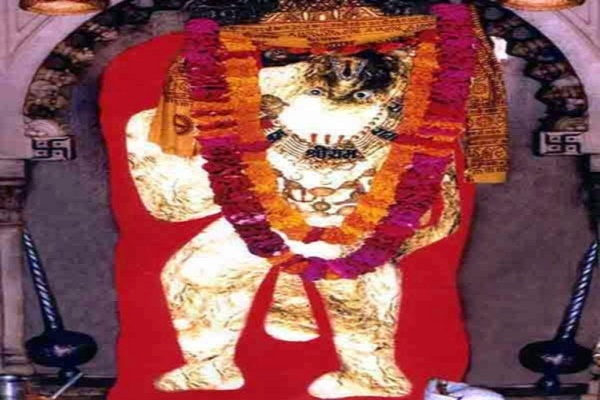 It means, no evil spirits can come near to a person who chants the name of lord Hanumanji. This line has its full meaning reflected here at Mehandipur balaji. This is probably one of the most widely known temple of Hanumanji, where Hindu way of exorcism is performed to cure people from evil spirits or Pretbadha. It is believed that the divinal power of Balaji Maharaj, thrashes away any bhoot, pret or pishacha from the body of the victim. 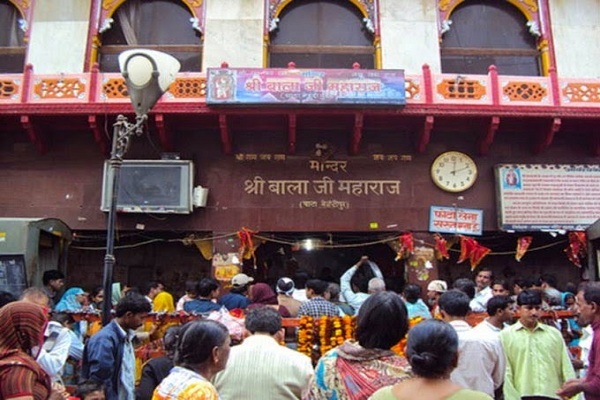 Anyone possessed by ghosts, brought to this temple for the treatment through divinal rituals known as Arji, Sawamani, darkhast, or bhog of bundi ke laddu to Balaji and, rice and urad pulse to bhairav baba, can be cured. The possessed gets free from the anguish of pretbadha and, start living normal life. The treatment of evil spirits here has evoked special interest among the researchers and, a team of International scholors have come here in 2013 to study the effects of such treatment on the patients here. The team were comprised of researchers, scientists, parasychologists and psychiatrists Europe and Delhi University. Located in Dausa district of Rajasthan, Mehandipur balaji is one of the most visited place by the Hanuman devotees in the state. The first preist of the temple was Shri Ganeshpuriji Maharaj who treated many possessed people through strict discipline, prayers and enchanting holy mantras. The temple hosts deities of Balaji maharaj, bhairav ji aka kotwal kaptan and pretraj sarkar aka the ruler of evil spirits. Just opposite to Balaji, there is a beautiful temple of shree siya ram bhagwan. Though, a large no. of devotees come here for darshan daily, but on Tuesdays and Saturdays, the no. of devotees exceeds manifold. Mahantji offers daily bhog to Balaji Maharah and, distribute it among all the devotees, and the nearby hospital, school and other places. 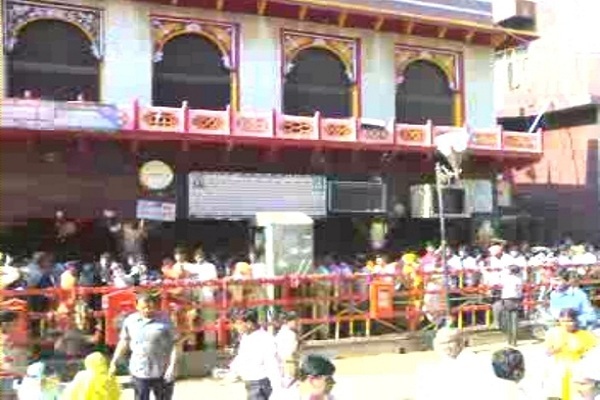 Darhan Timings: : : Mehandipur Balaji darshan's opens with Mangala Aarti at 6am and closes at 9 pm on all days of week. The temple is 270 kms away from Delhi & 100kms from Jaipur. 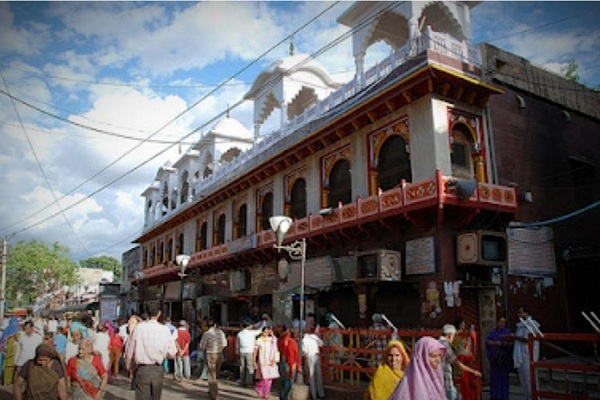 Visitors can get a bus or car taxi easily from Jaipur, Agra or Delhi to reach the temple.